The Sarah Moody Gallery of Art presents an exhibition by Alabama native and UA alumnus Jim Neel. 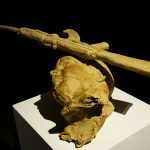 Titled Echoes along the Syrian Border: Family Archeology and the Sound of Distant Gunfire: Works by James Emmette Neel, the show will run from January 12 through February 17, 2017. This solo exhibition comprises two bodies of Neel’s recent work which share an intense focus on the subject of warfare and its horrific effects on a country and its inhabitants, particularly children. In photography, prints and sculpture, Neel unleashes a visual landscape borne of his own physical proximity to war and its victims. Suriya was produced following Neel’s time spent in Syria; Les Enfants de la Terre was created in response to his experiences in El Salvador and Central America. In every war zone, children are war’s most vulnerable victims. 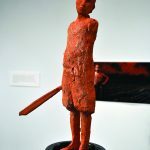 Neel depicts them – the combatants and the casualties – in chilling detail: weaponed and armless child warriors portrayed in terra cotta sculptures and digital images. The public is also invited to two free events on Thursday, January 12: at 11:00 a.m., Jim Neel will talk about his art in 205 Gorgas Library on UA campus; from 5:00 to 7:00 p.m., a reception for the artist will be held in the Sarah Moody Gallery of Art. 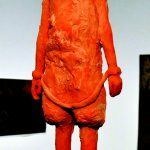 Jim Neel received the MFA from The University of Alabama Department of Art and Art History in 1973. He has worked as a photojournalist, administrator, teacher, scholar and artist and is currently Professor of Art and Director of the Durbin Gallery at Birmingham-Southern College. 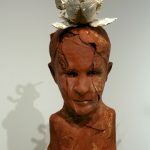 He recently completed his second residency at the John Michael Kohler Arts Center in Sheboygan, Wisconsin, where he produced a second body of figurative porcelain works exhibited recently at the Huntsville Museum of Art. He has been the recipient of the Southeastern College Art Conference Artist’s Fellowship and the Alabama State Council on the Arts Fellowship. Exhibitions of his artwork have been produced for regional museums including Winston-Salem’s Southeastern Center for Contemporary Art, the New Orleans Contemporary Arts Center, the Montgomery Museum of Art and the Alexandria Museum of Art as well as academic galleries at Memphis State University, Mississippi State University, the University of Montevallo and the University of Alabama at Birmingham. Neel’s photographs have appeared in more than thirty newspapers, magazines and publications including Los Angeles Times Magazine, The Commercial Appeal, The Birmingham News, Birmingham Post-Herald, Oxford American, Esquire and books including Salvation on Sand Mountain and Redneck Riviera: Armadillos, Outlaws and the Demise of an American Dream. Support for this exhibition is provided in part by the Galbraith Fund. Funding support for the Sarah Moody Gallery of Art comes from the Department of Art and Art History and the College of Arts and Sciences. Admission to the gallery is free. Hours are Monday through Friday 9:00 a.m. – 4:30 p.m., Thursday evenings: 5:00 – 8:00 p.m. The gallery is located at 103 Garland Hall in the heart of the UA campus on Woods Quad. Information about visitor parking is available here: http://bamaparking.ua.edu/visitor-information/. Parking is free on campus in a legal space after business hours. 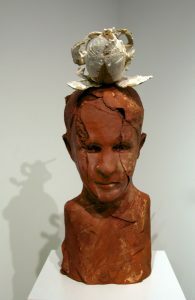 Contact the gallery at (205) 348-1891 or go to http://art.ua.edu/gallery/smga/.